Check out our affordable rates. With Times Resumes You are Guaranteed Interviews. The More Interviews you get the more are your chances to succeed in securing your desired employment. At Times Resumes we know that your Resume or CV is an important investment and that it needs to give you back some good returns if considered successful. If you do not get any callbacks on your Resume, CV we offer you a 30 days guarantee. If after we have delivered the final copy of your Resume or CV, and you have sent it to be viewed by prospective employers, against job vacancies advertised related to your profile, but, you do not receive any offers for an interview within a period of 30 days, send it back to us, along with the links to the job vacancies and job description to which you have applied, and our Professional Resume Writers will rewrite it completely free of charge (no questions asked). This is the level of our commitment to you and we will stand by it every time. This level of guarantee should also indicate to you something about our Professional Resume writing Services. If we are willing to rewrite your Resume or CV completely free of charge, then that must mean that our Resumes and CV's are pretty successful. After several years in the business we can proudly say that we have a success rate of more than 98% with our Resumes/CV's. We do not think that you will find many other Resume Writers out there that can offer you that level of satisfaction. If after we have delivered the final copy of your Resume or CV, and you have sent it to be viewed by prospective employers, but, you do not receive any offers for an interview within a period of 30 days, send it back to us and our Professional Resume Writers will rewrite it completely free of charge (no questions asked). This is the level of our commitment to you and we will stand by it every time. Most job applications are actually done electronically, and most organizations, no matter the degree, request a Resume or CV from the actual candidates. Have you ever wondered why employers would request CVs coming from all candidates, when it can be extremely time consuming to review them all? Employers don’t actually go through every single CV or Resume they receive; companies use various software to help scan the CVs they receive for phrase and content specific to the available positions. Typically, this could be the first round of evaluation by your would be employer. Your Resume or CV must be e-friendly to help it pass the computer-generated process in order to make it into the hands in the hiring manager. While your Resume or CV might be well-written and well-formatted, it may not be scanable. As a result you will not get any calls from potential employers, even should you have great qualifications for the task. • Special formatting causes certain letters in words to touch, and blend into one figure. This is especially the case if your word is bolded or italicized. Make certain you proof read your CV or Resume and change any parts where letters are usually joined together. • Font type and size are incredibly significant for both your produced and electronic CV or Resume. When the actual CV or Resume is scanned, it is important that the font is recognizable by the software. Stick to the basic ones, such as Ariel along with Times New Roman, and to the basic size, such as 10 or 12 points. • Do not underline words or phrases as part of your Resume or CV. In an electronic data format, underlining implies that the text message links to another document or a web site. Additionally, do not have any lines within the resume that touch the text message. • All the text should read from left to right in your CV or Resume. Tables, or columns, should not be contained in your electronic CV. • Do not use special characters in your Resume or CV that are not recognized by the software. This includes bullets, usage of ampersands or percent signs, copyright laws signs, or any other characters that would not be easily recognizable by the application. If you are quantifying information on your Resume or CV, make sure to spell out the percentage instead of using “%” when you are indicating increase in sales, by way of example. Whenever possibly, avoid using signs or special characters as part of your resume. • Even if you publish a printed Resume or CV, the document could be scanned for key words to match your qualifications with available positions. It's very essential that your submission is upon plain white paper, in basic font type and size. In case you are submitting multiple pages, that all the pages have your name in the top or bottom of the page. Do not staple several pages. If you do thus, only the top page will be scanned. • The foremost element of a Professional Resume or CV is selecting active keywords, or power text. Do your research and use the appropriate keywords as part of your Resume that apply toward the career you are seeking. Having appropriate keywords throughout your Resume causes it to become easier to get matches when scanning the record. Helpful tip: review the employer’s task requirements for keywords. What are the required qualifications for the task? Ensure that your Resume offers the same terminology as that practical description, without direct copying in the text, of course. When your Professional Resume or CV is scanned, these key words will be picked up by the system & you will be one step closer to landing your dream job. If you are not certain about attempting to write a resume by yourself then you must get the help of Professional Resume Writers for your Resume Writing needs. Get a Free Resume review from Times Resumes - Just sent your resume to us via email. 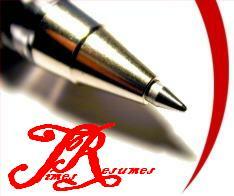 Contact Us for our Professional Resume writing Services, available in all countries worldwide. Our Professional Resume Writers shall create a high impact Resume or CV for you . Hire the Best Professional Resume Writing Services for your needs.